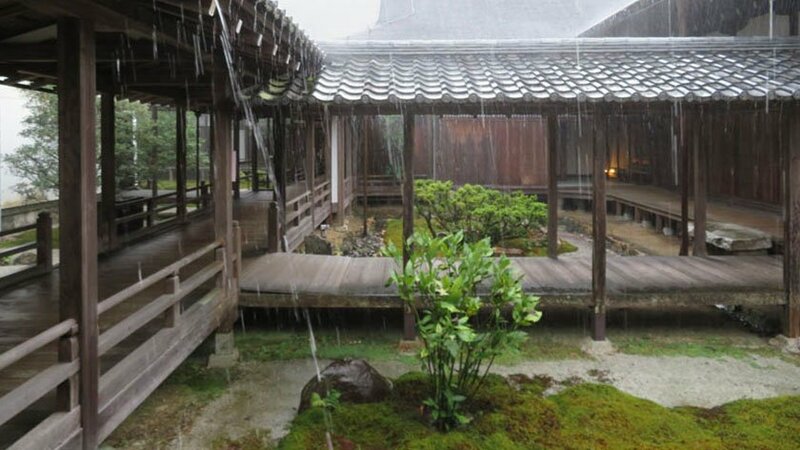 Nanzenji Temple is a very beautiful temple complex which is home to many historically significant structures and gardens. 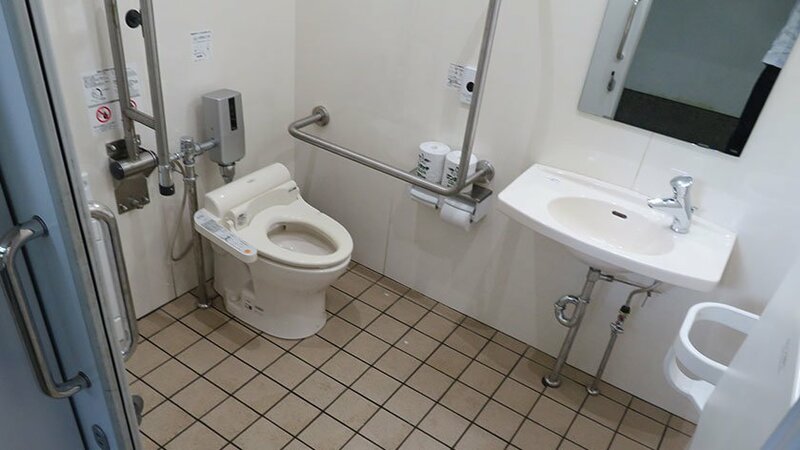 However it is only partially wheelchair accessible. 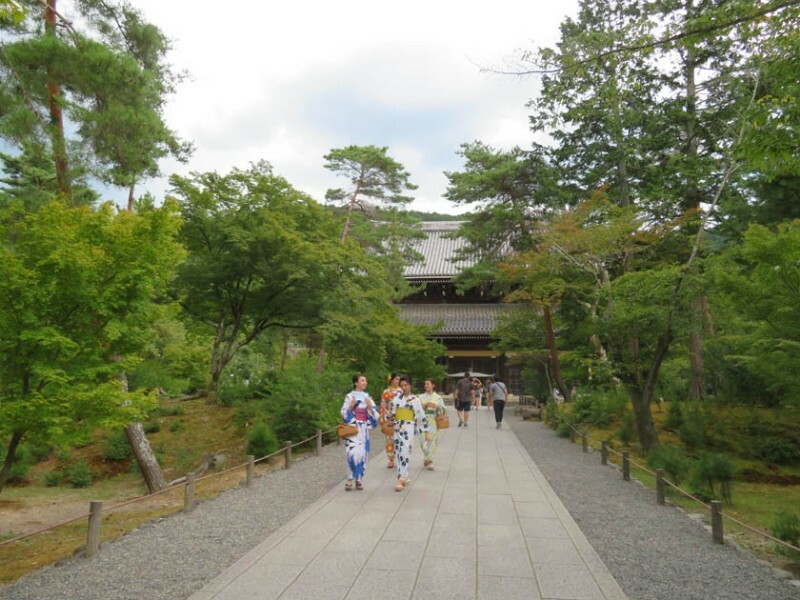 There’s a lot to see in the Nanzenji area situated in the eastern foothills of Kyoto’s Higashiyama Mountains. 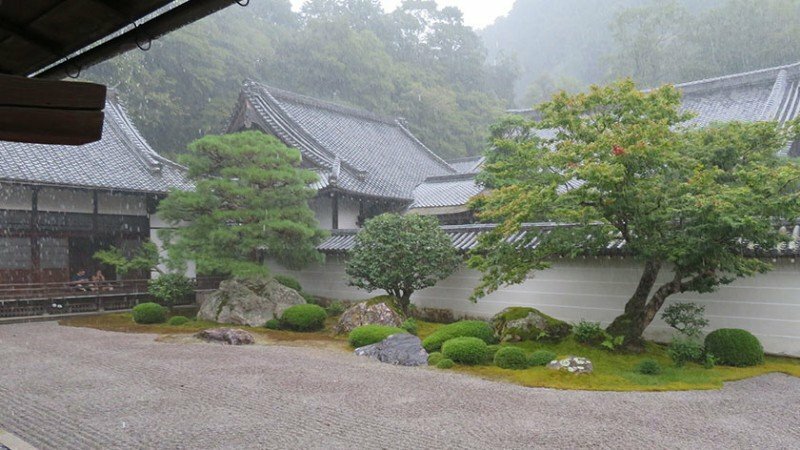 Several subtemples and gardens are open to visitors, but the main (semi-) accessible attraction here is the main Nanzenji temple. 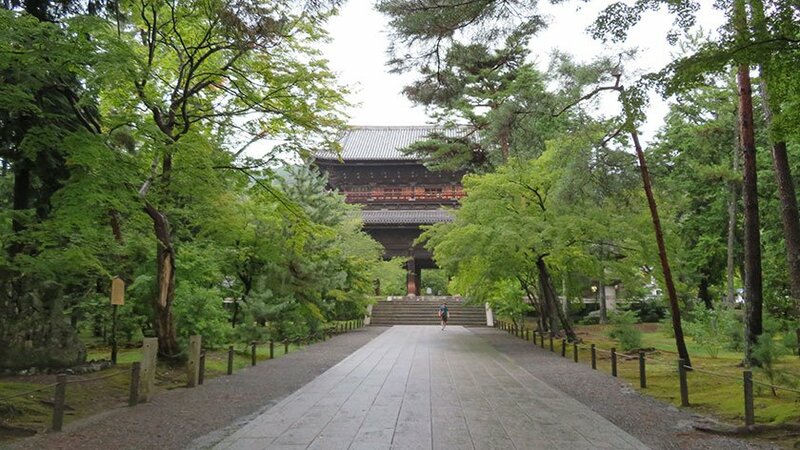 The approach to the temple passes through a large courtyard area dominated by a massive wooden gate. 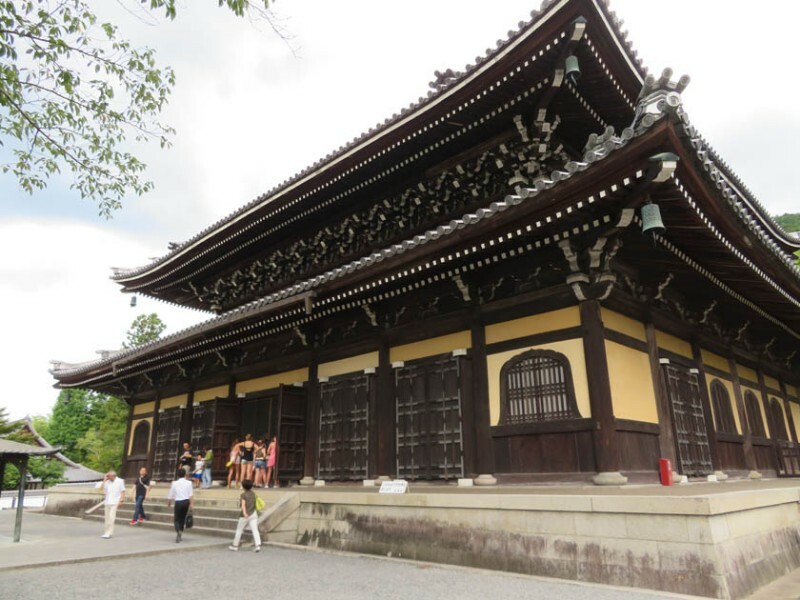 This 1628 structure was once flanked by huge stone lanterns in front, only one of which still stands today. 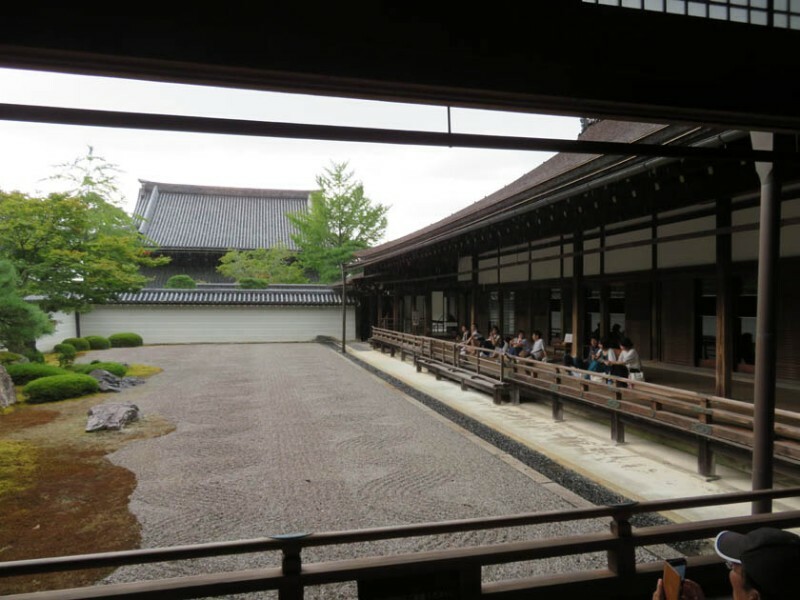 Beyond the gate is the Dharma Hall, a large lecture hall used by the priests on special occasions. 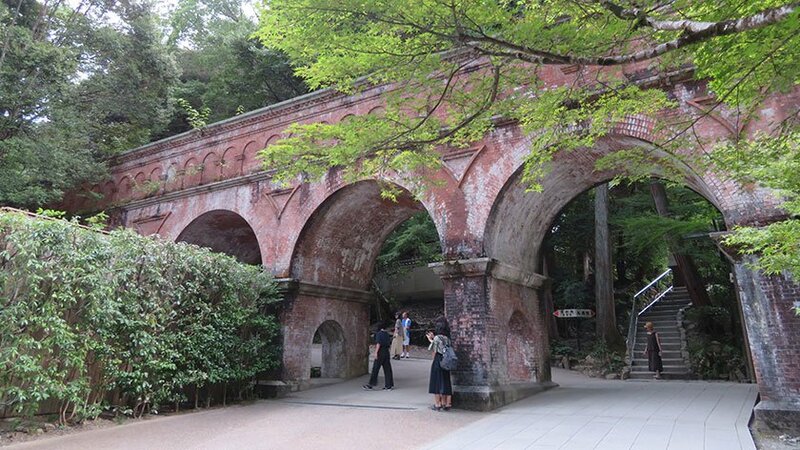 Further up to the right of the hall is an interesting relic of the late 1800s: Japan’s first western-style aqueduct. 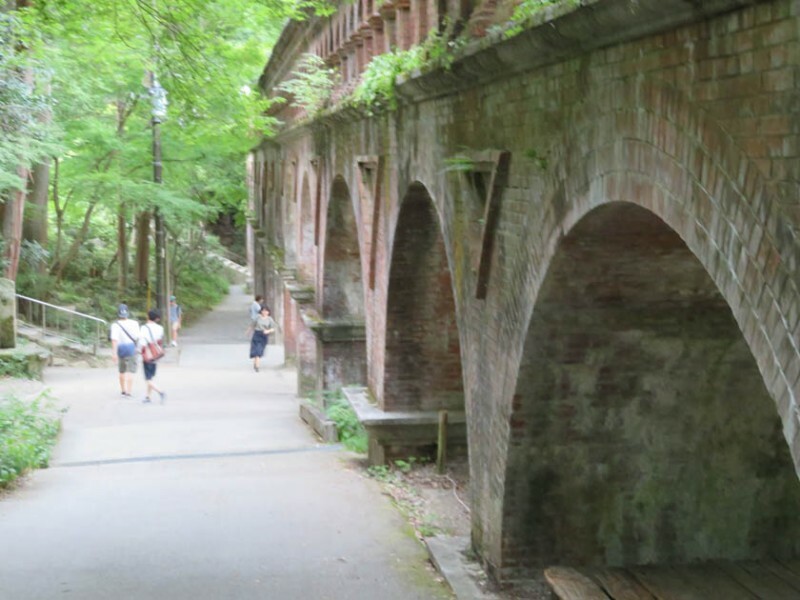 The imposing brick arches still carry water from Lake Biwako in neighboring Shiga Prefecture, under the mountain through a series of complex locks, and into the Kyoto basin to be used for drinking water. This area is particularly famous for its maple trees, which create a stunningly colorful landscape in autumn and provide for some wonderful photos. All of these outdoor sights are free of charge. 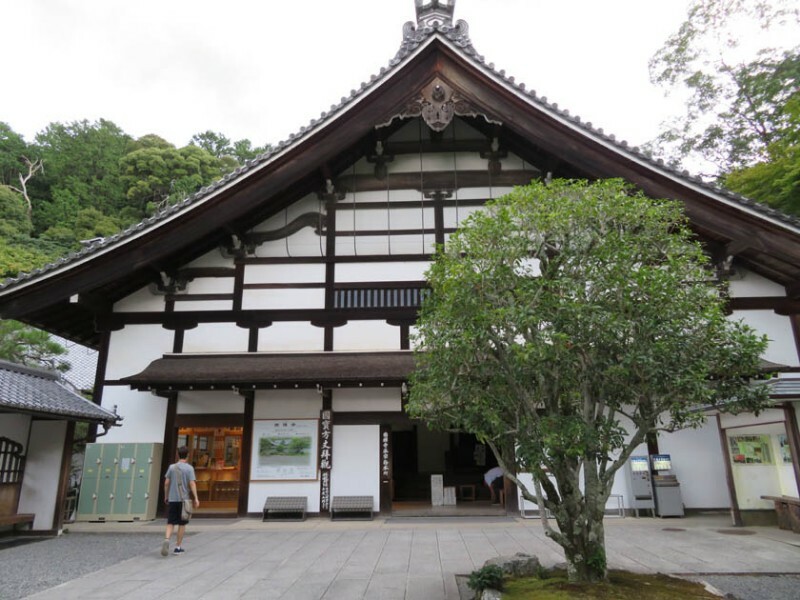 The only area of Nanzeji temple requiring an entrance fee is the central portion of the large Zen temple complex. 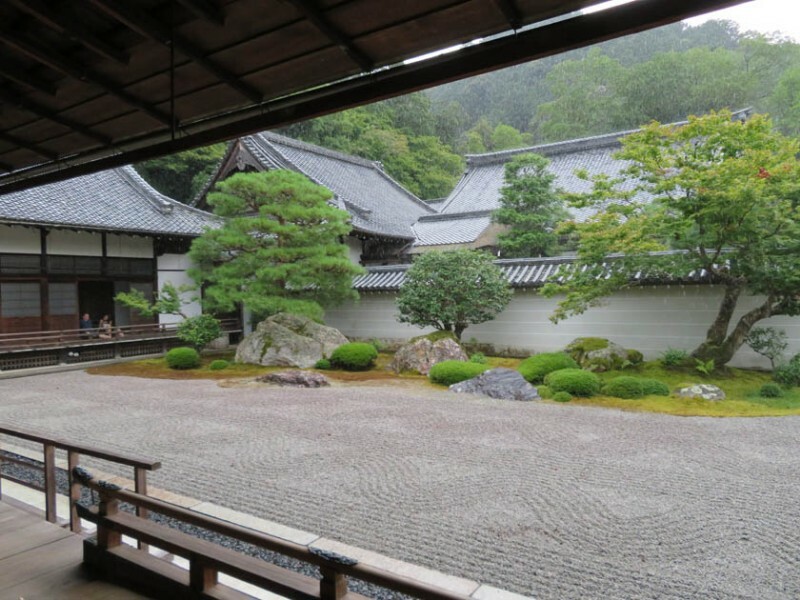 Established in the late 1200s, Nanzenji grew to become one of the most important Zen communities in the nation. 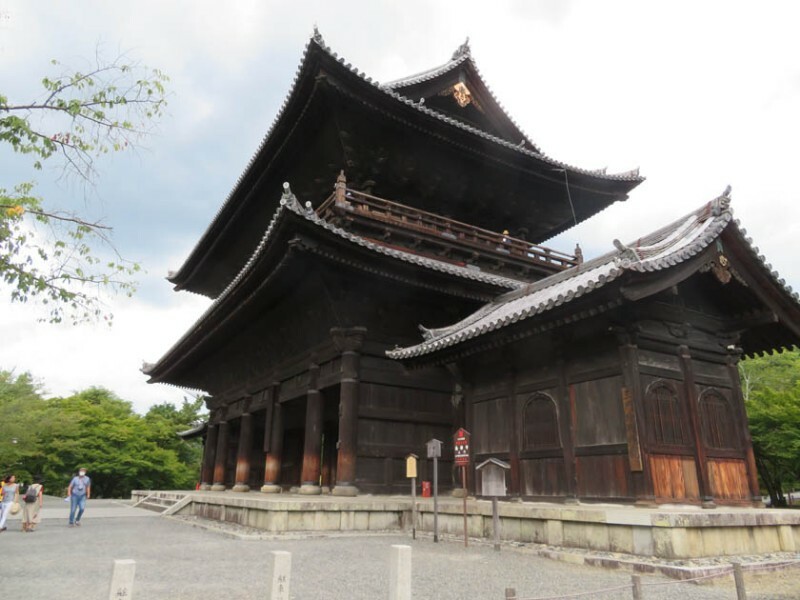 Like most temples in Kyoto, fires ravaged the temple numerous times, and what you see here now dates back to the opulent Momoyama Era (late 1500s). 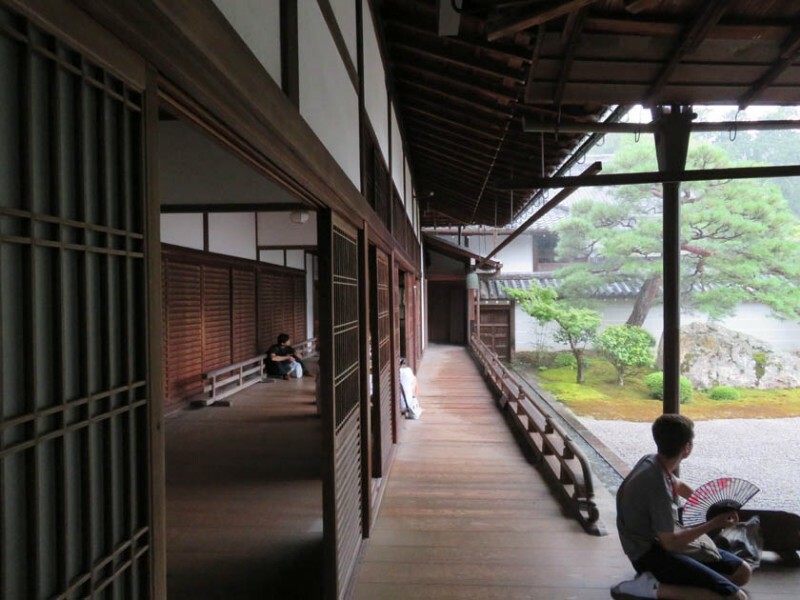 The splendor of the period is evident in the fine paintings in the Hojo (abbot’s quarters) in the center of the complex. Energetically posed tigers and cranes in flight are painted atop walls covered in gold leaf, providing a lavish balance for the austere landscapes surrounding the building. 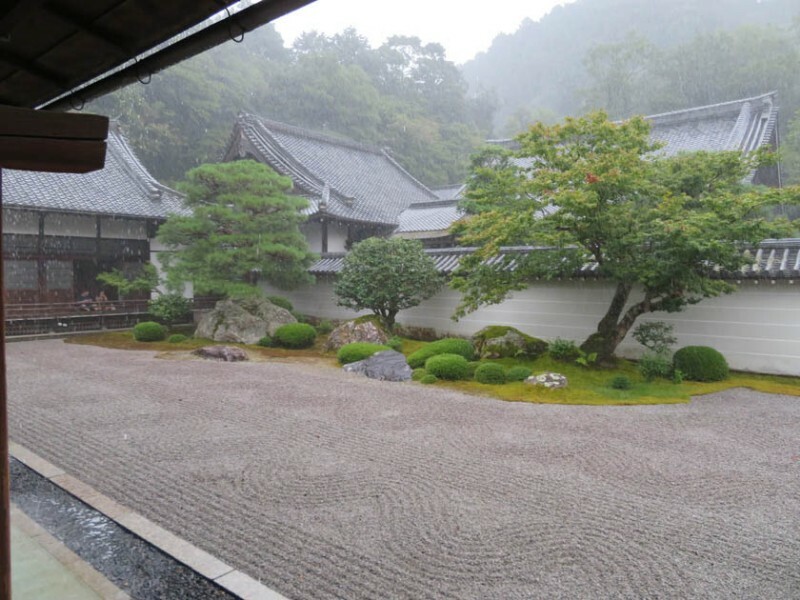 Nanzenji’s Zen gardens are very well known, mainly for the stories that they tell. 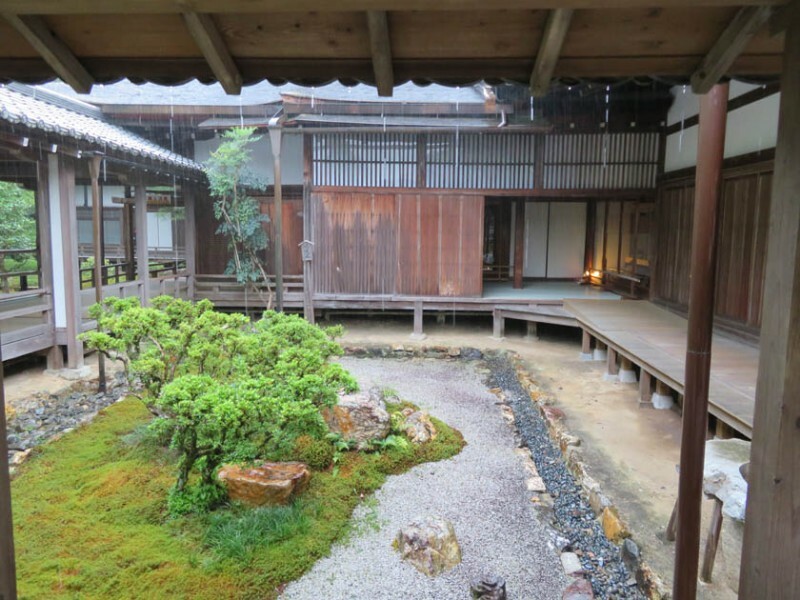 The main garden on the south side of the Hojo features an imperfectly unbalanced design of white gravel, moss, and stones. 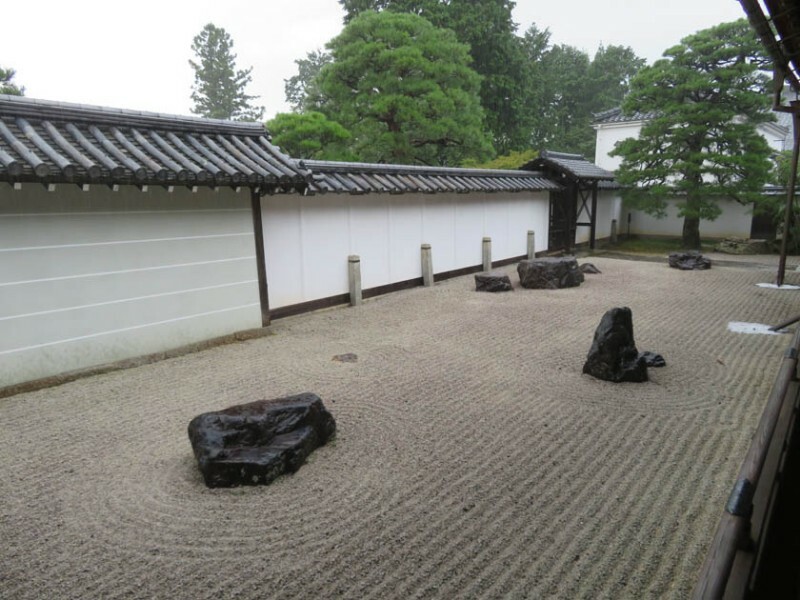 Legend has it that the large stones represent tigers and cubs crossing a river, but – like most Zen gardens – the meaning is left up to your own interpretation. 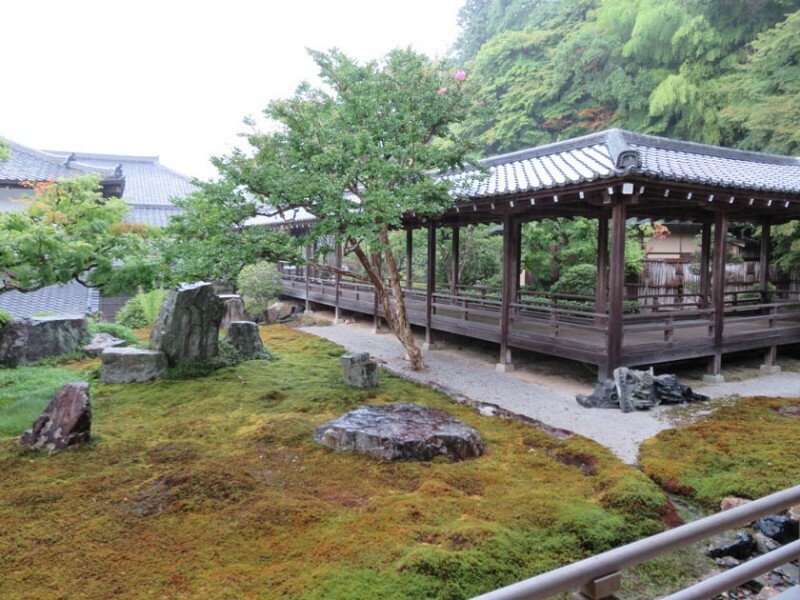 The other landscapes in the temple offer various panoramas as well; simple oceans of wide open space, lush forests covering rolling hills, and visions of the mountains and islands of paradise in the distance – all conveyed through the expert use of moss and stone. 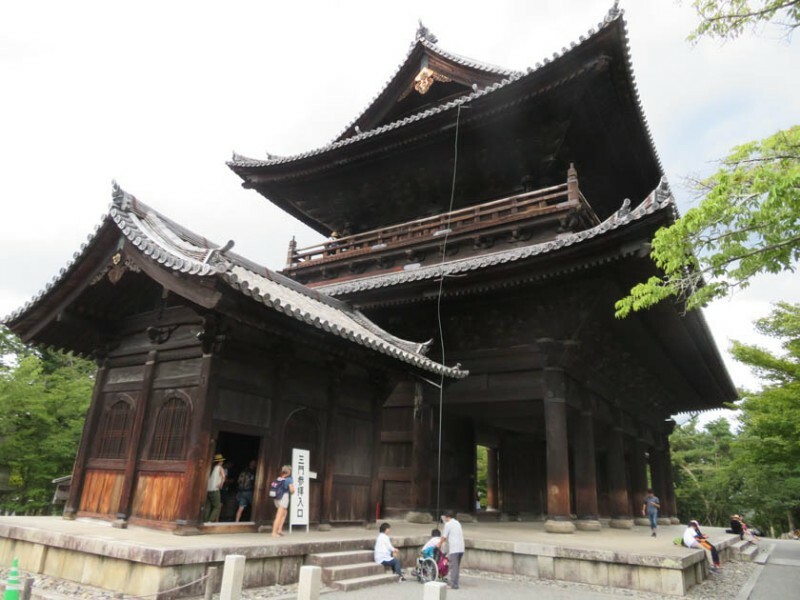 Nanzenji Temple is a 5-10 minute walk from Keage Station (Tozai Line), which is wheelchair accessible. Taking the bus to Nanzenji-Eikando-michi bus stop is another option, but even though the buses are accessible in Kyoto, they are often very crowded. 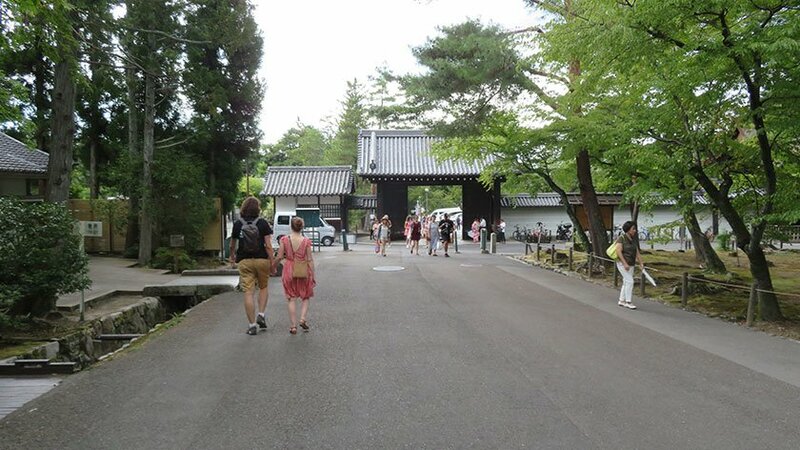 The main pathway up to the Hojo and around the auqueduct is made of smooth pavement. 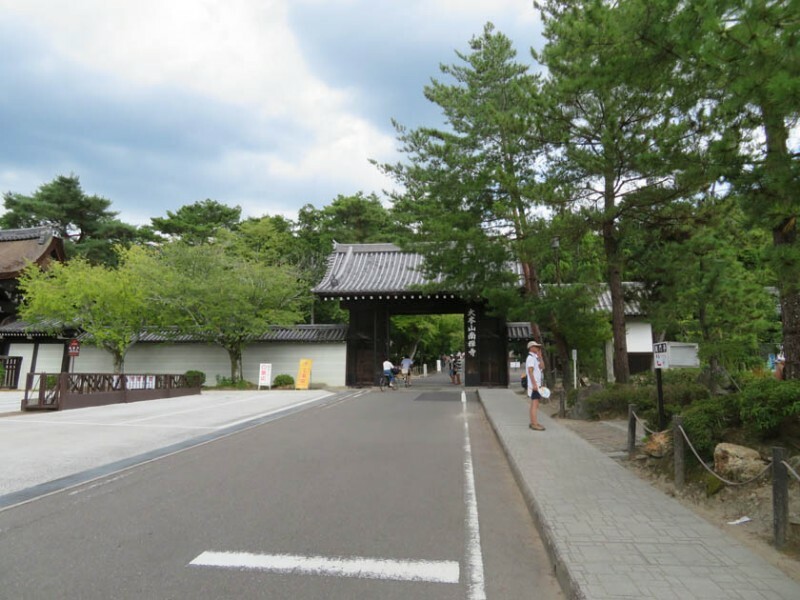 The approach to Sanmon Gate is also smooth but ends in stairs. 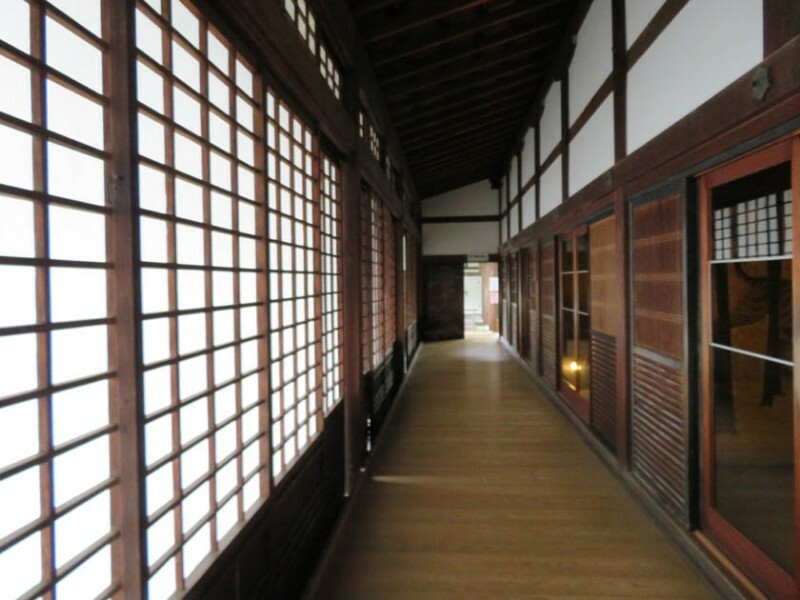 It is possible to go up the main path to the Hojo and then enter an area between Sanmon Gate and Dharma Hall to see the buildings from a closer angle. 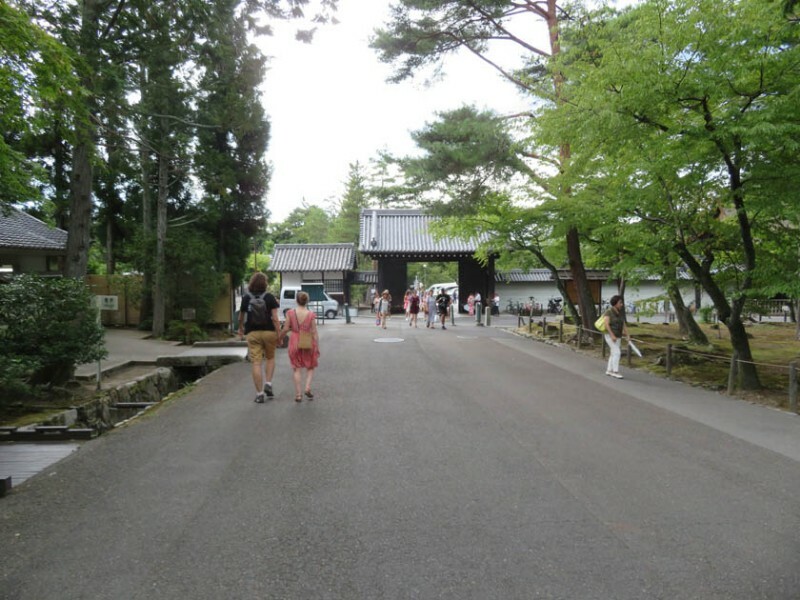 However, Sanmon Gate only has stairs and the gravel in the area can be rather thick in places. The area around the auqueduct is paved and accessible, but getting the top requires going up an incline which is somewhat steep. The lower part is much more interesting, so going to the top is not essential. 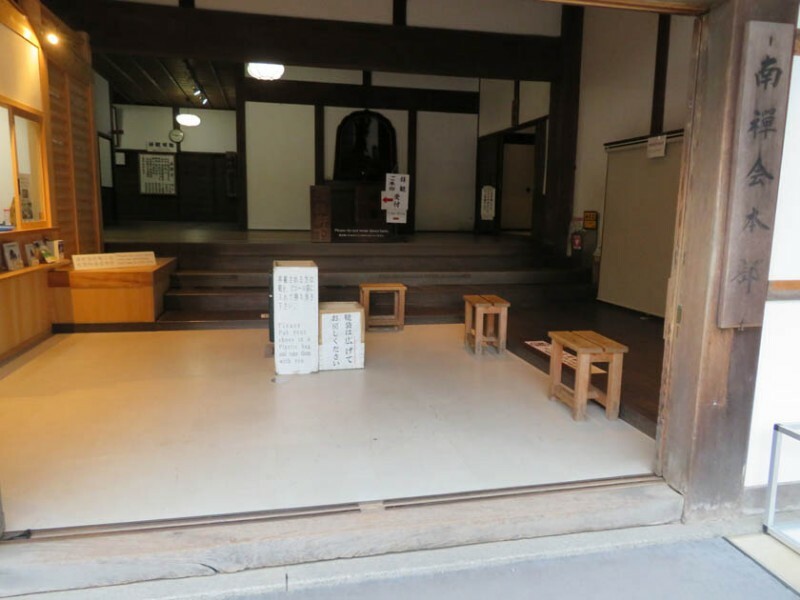 The main attraction, the Zen Garden in the Hojo, is semi-accessible. Getting in the building requires going up one step, and then several more steps once inside. 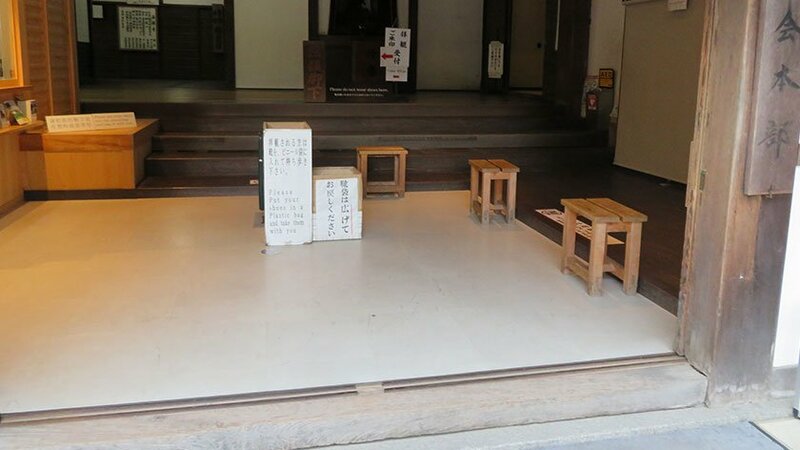 However, there are several wheelchairs available to borrow and staff are willing to help carry visitors up the steps. 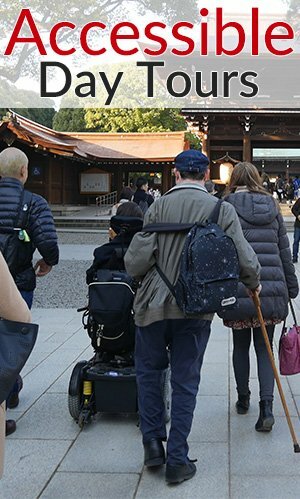 So, those in a manual wheelchair – or able to transfer into a manual wheelchair – can access the garden, but it is unfortunately out of reach for those who cannot transfer. Once inside, the path around the garden is smooth. 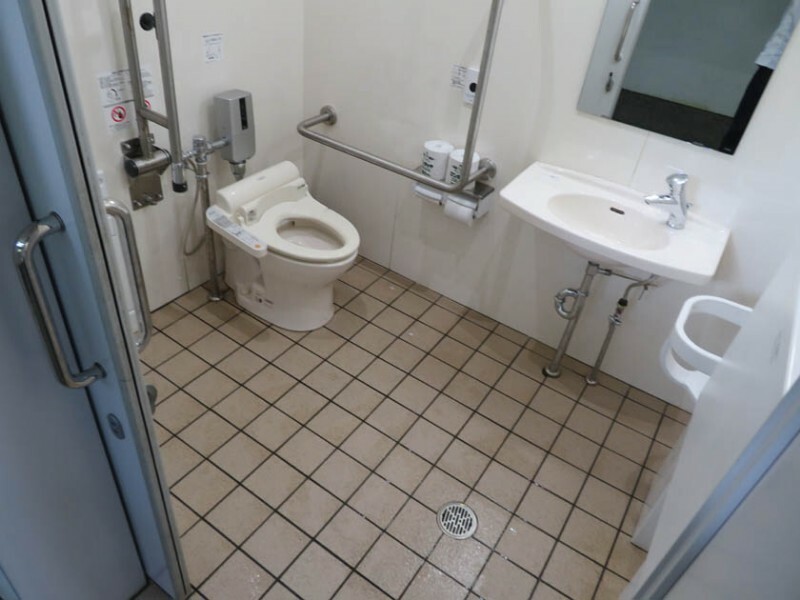 An accessible toilet is available at the entrance of the complex. 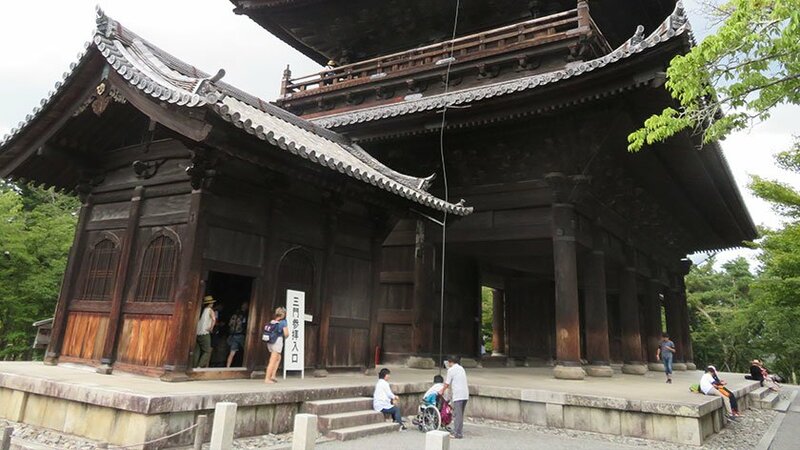 While a lot can be seen just by wandering around the grounds of the temple complex, visitors should be aware that some major parts are either inaccessible, or require significant assistance. 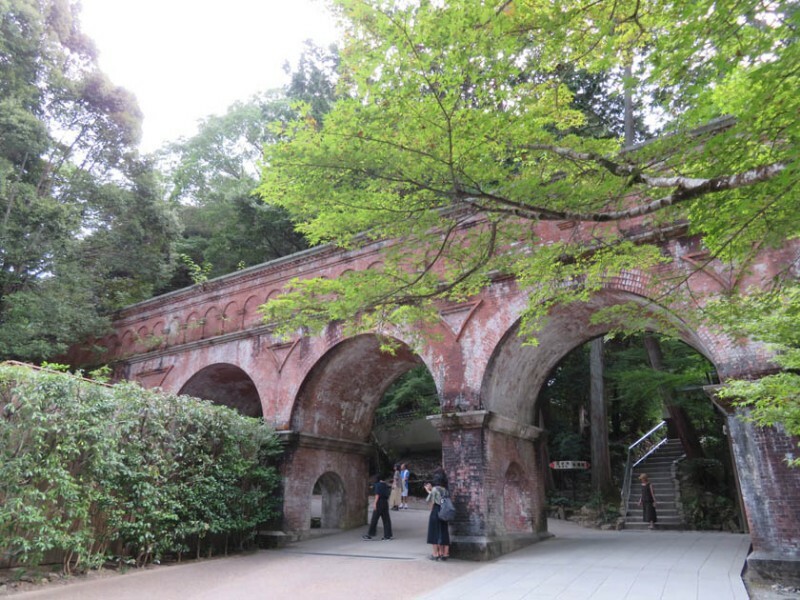 The temple is located at the southern end of the Philosopher’s Walk, so even though the site is not fully accessible, there are other sites to enjoy nearby and it is worth visiting. 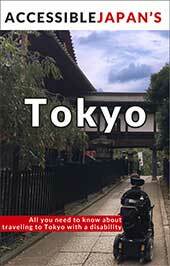 KyoTours Japan for the excellent background information on Nanzenji Temple. 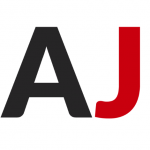 Leave your questions or comments about Nanzenji here!